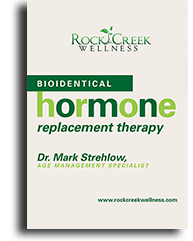 Ladies and Gentlemen, if you’re concerned or unhappy with your cosmetic appearance, then Rock Creek Wellness has good news for you! Leawood’s Top Rated Local® Wellness Center offers a host of cosmetic enhancement procedures to significantly improve the quality of your skin, remove unwanted hair, eliminate hyperpigmentation, and more! Read below about some of the cosmetic services we offer. Micro-needling works to get rid of pesky fine lines, acne scars, and other unwanted blemishes on the face. * To erase wrinkles and enhance the overall appearance of your skin, micro-needling is a valid option worth considering. By stimulating your skin cells through a sterile, multi-micro-point pen with the Eclipse Micropen™, you’ll effortlessly experience better skin quality. * Learn more here! PRP, or Platelet-Rich Plasma therapy, works with the plasma concentration in your blood to help speed up the injury recovery process as well as enhance facial aesthetics and hair restoration. * PRP is safe and fast, only requiring a very small amount of blood. By using an autologous concentrated preparation of platelets, or growth factors in your plasma, the process of centrifugation will increase your growth factor rate by five to 10 times what is normally found in blood. * Learn more about Platelet-Rich Plasma therapy here! Uncover your natural radiance and beauty with Venus Viva, one of our latest advancements in skin care technology! This FDA-cleared solution is designed to resurface facial skin, leading to tighter, brighter, and overall younger looking skin. * By stimulating collagen production working in the deepest layers of your skin, Venus Viva will encourage cell turnover and result in more youthful skin. * With fully-customizable options available, you’ll be on your way to radiant, beautiful and young-looking skin that you deserve in no time! Learn more about Venus Viva in this blog post. Looking to safely get rid of any unwanted hair? Rock Creek Wellness offers non-invasive laser treatments that eliminate unwanted hair and also eliminate the need for constant or excessive shaving, waxing, or plucking. Our advanced laser technology is offered at a price that’s less expensive than our competitors, making our laser hair removal services a great value. Learn more here! While hyperpigmentation is a relatively common yet harmless condition, it consists of dark patches of skin that are often perceived as unwanted. By administering 755 nm wavelengths via a gentle laser, this dual-wavelength laser is able to rejuvenate your skin altogether. * If you’re curious about this pain-free procedure to get rid of hyperpigmentation, visit this page to learn more! As another way to improve the quality of your skin and skin tone, custom facials are a great, non-invasive way to do so. Our expert aestheticians will customize a treatment plan for you that could include dermaplaning, hydradermabrasion, and/or chemical peels. Your customized plan will provide a solution to remove the damaged outer layers of your skin and reveal the younger, smoother skin underneath the surface. * Rock Creek Wellness offers multiple chemical peel options which can work to improve the appearance of any unwanted acne, scars, fine lines, wrinkles, sun damage, scars, and much more! * We believe that we have the right skin rejuvenation options for everyone. Learn more about our chemical peel services by visiting here! As the newest advancement in non-laser skin resurfacing, HydraFacial® MD is the only hydradermabrasion procedure on the cosmetic market that combines cleansing, exfoliation, extraction, hydration, and antioxidant protection, all at the same time! What you can expect as a result of HydraFacial® MD technology is an improved appearance of fine lines, wrinkles, congested and/or enlarged pores oily or acne-prone skin, hyperpigmentation, and brown spots. * To learn more about this painless and non-surgical procedure and view some of our testimonials regarding the success of HydraFacial® MD, visit here! Rock Creek Wellness offers a number of safe and effective cosmetic injectable treatments. We carry reputable products like Bellafill®, Botox®, and the full collection of Juvéderm® fillers. If you’re looking for tried-and-true results when it comes to things like wrinkle correction and facelifts, then our cosmetic injectables are the perfect fit to meet your facial rejuvenation desires. Learn more about each cosmetic injectable treatment here.